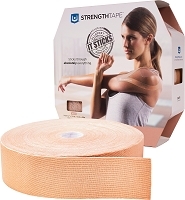 STRENGTHTAPE® is the preferred brand of Kinesiology Tape in Medical Professional's Market because of its long-lasting durability and effectiveness on common injuries. 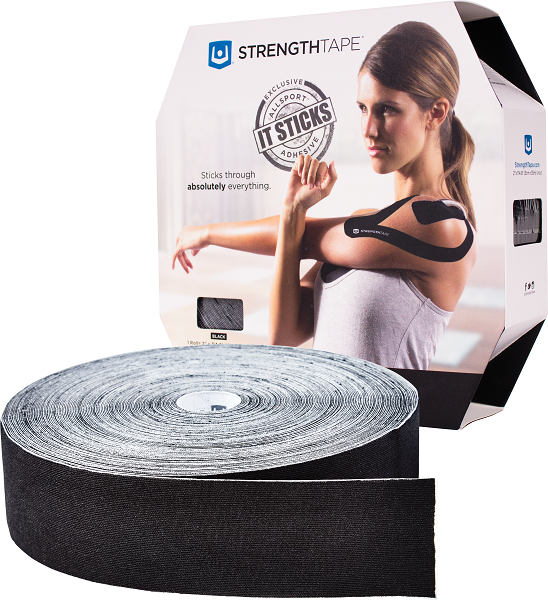 Our exclusive AllSport Adhesive helps StrengthTape® stick for up to 7 days through water, sweat, and mud to support injured muscles and tissues while still allowing full range-of-motion. 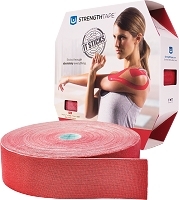 STRENGTHTAPE® is made of breathable cotton and Spandex. It is not made with natural rubber latex. 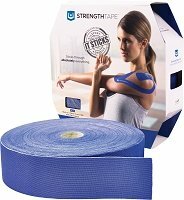 STRENGTHTAPE® Taping Kits include 6 - Precut 10 inch strips of tape for 2 applications. Each kit includes Easy-to-follow instructions for the most common injuries. Additional application videos can be found on our website. Will stick for up to 7 days in any environment including water, sweat, humidity & mud.